My car is a '13 speedster obviously built as a kit about ten years ago I would guess. I bought it at an estate sale in North Idaho. It looks and runs great and I took it on a long run this last Sunday. 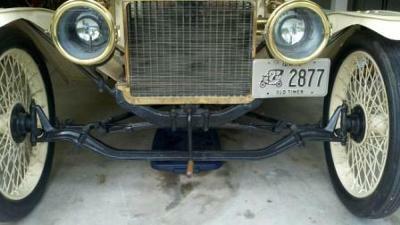 The first picture is of the front axle which would seem to be fairly uncommon. The car also has an exhaust bypass which makes it sound slightly louder on request. 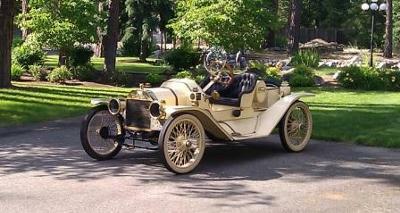 It looks very old and professionally built with period looking castings and such. 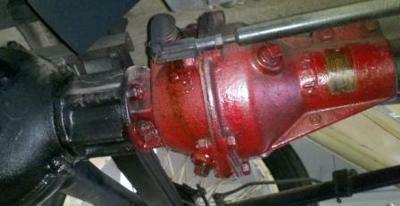 It can somewhat be seen in the "gearbox" photo dumping right onto the rear axle. I haven't researched the ignition yet but it works well. The engine also has a pressure lube system and runs about 25 psi hot.